Please, Sir, Can I Have Some Moor? One afternoon last month, I was walking across the 3rd arrondissement of Paris (sidewalks of cigarette butts, trampled autumn leaves, pigeons pecking at someone’s lost piece of challah) on my way to Breizh Café, declared the best crêpes in town, when I was sidetracked by mounds of mubarak magnificence off rue de Bretagne (it’s not a pun). The sight of Parisians tucked into benches, their faces obfuscated by steam Old Faithful’ing from large colorful ceramic plates made me take an abrupt 90-degree right turn into an alley, the light at the end provided by florescent tubes whose sole purpose of being was to illuminate mosques of melt-in-your-mouth jannah, turning markets into meccas of masticulation. The marché des Enfants Rouges is the oldest covered market in Paris, built in the 1600s, and is where Marais comes for breakfast, lunch, and wine, delicatessen, cheese, fruit, and vegetable shopping. What a difference 400 years make – there’s an Italian stand serving fresh handmade pastas, a sushi stall, a pan-Asian one – seaweed-dusted poulet rôti, anyone? 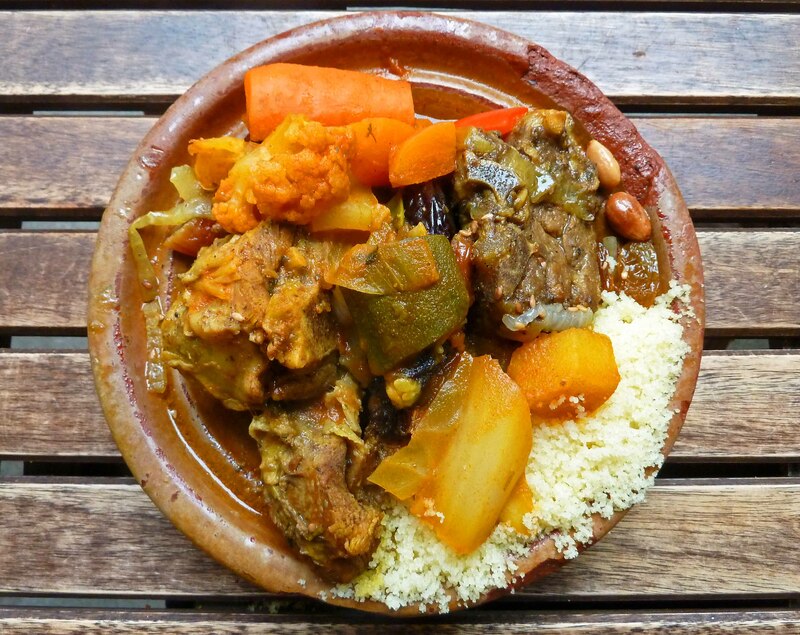 I stood in front of Traiteur Marocain, enthralled by walnuts and almonds caramelized and tossed with root vegetables in harissa sauces and meats clinging on to their bones only by slivers of tendon – oases amid dunes of fluffy cous cous. If we’ve played the “If You Could Only Eat Five Cuisines For the Rest of Your Life” game, you’d know that French is one of mine. I was in Paris and damn it, I was only going to eat French, even if it was baguette with Camembert forever. But tenir à tes chameaux! 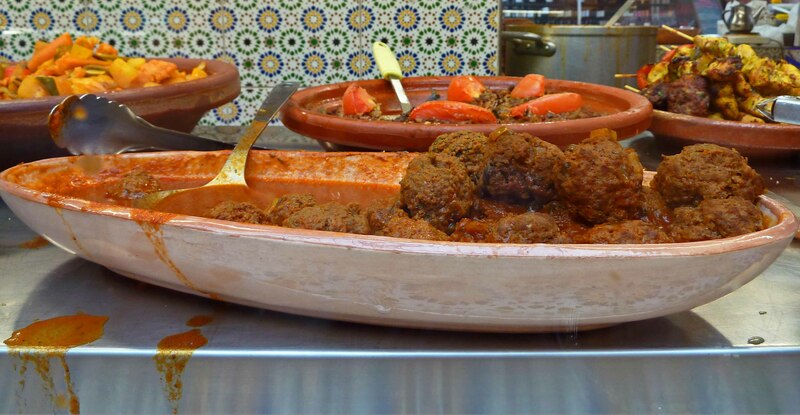 Isn’t Moroccan cuisine as integral to French eating as Chinese-made souvenirs are to the city’s tourist spots? 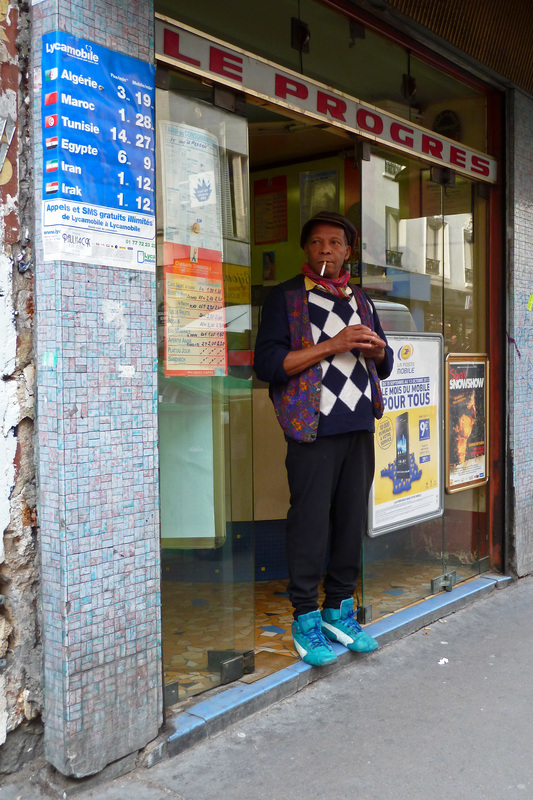 Hadn’t I learned anything from my traipse through Belleville, where shisha aromas instead of cigarette smoke now waft out of corner cafés? Then I settled on a bench and waited for my own heap of when lamb shoulder met apricots. And chopped tomatoes. And paprika. And sultanas. And honey. And cinnamon. And cumin. And turmeric. And saffron. And garlic. And mint leaves. And coriander. And onion. And lemon. That stock all of the above came together in like the Comic Con of stews should be publicly traded. Next to me, an older woman shared a beef pastilla with her poodle. Across from me, two 3e hipsters with perfect knots in their scarves and tatteredly natty newsboy hats shared pita with hummus and a plate of olives over red wine and cigarettes. We’ll always have lunch in Paris. 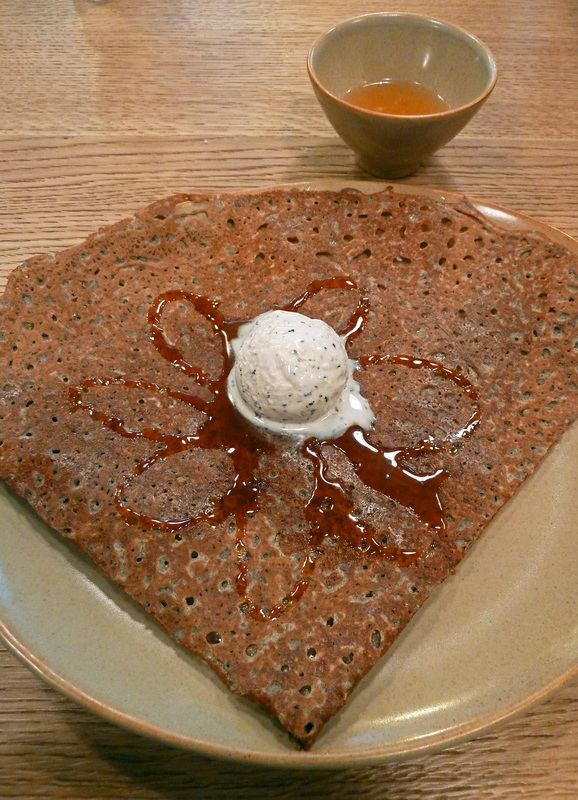 Epilogue: I continued on to Rue Vieille du Temple for a buckwheat crêpe with caramel and buckwheat ice cream. I asked if it was sea salt caramel, and the response was, “We only have sea salt caramel.” I could have been in Saint-Malo, Bretagne. 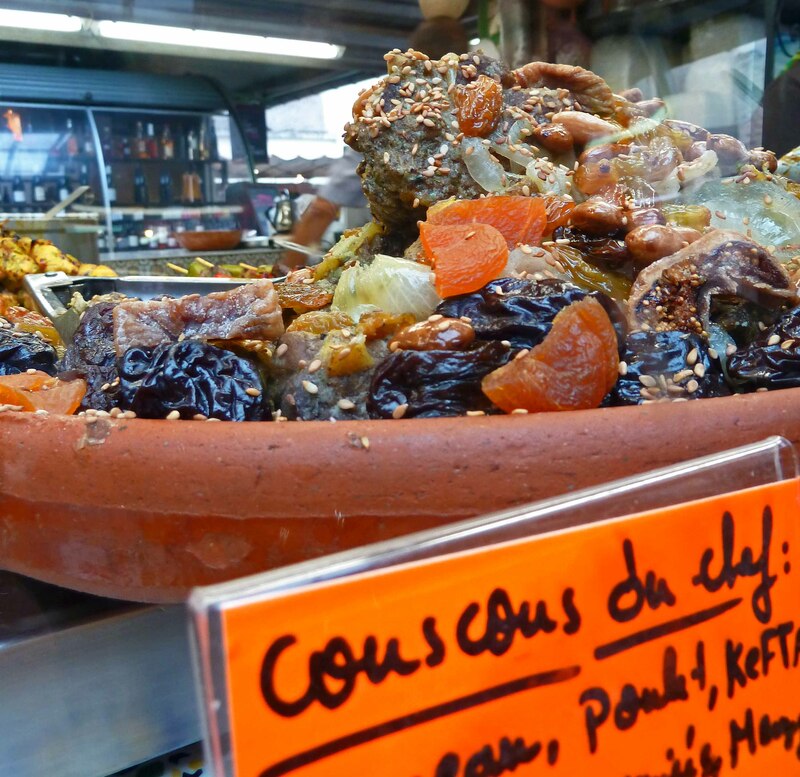 This entry was posted in Assignment, Food, France and tagged breizh cafe, buckwheat crepe, cous cous, lamb tagine, marais, Marché des Enfants Rouges, moroccan food, olives, paris, traiteur marocain by Desiree. Bookmark the permalink.